A chatbot is one of those technologies that are changing online retail. Online shoppers find them handy when it comes to selecting products, receiving customer service and more. For online retailers, a chatbot has many benefits. We decided to write this article, so you have an idea about the chatbot development process. As a result, you will be able to understand how to build it for your business. 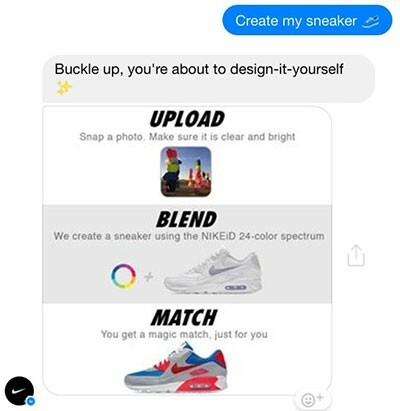 However, let's first look at how Nike company use a chatbot for boosting conversions from Facebook Messenger. The story started when Nike decided to collaborate with Snaps for Nike AirMax day promotion campaign. The company used a chatbot (Nike StyleBot) as a part of their conventional marketing strategy. The results were impressive! The idea of the campaign was to launch a Nike StyleBot in the Facebook Messenger to help shoppers style their shoe designs and browse previously created designs for inspiration. 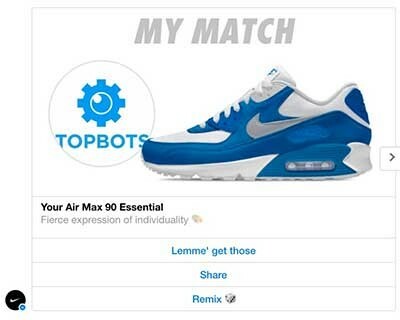 The Nike chatbot allows users to create unique shoe styles and share them with friends on Facebook. This promotion had all the ingredients needed for success. Moreover, the results were remarkable. The company said their average CTR was 12 times higher than other campaigns. Also, the Nike chatbot increased conversions to up to four times compared to the brand average. Are you impressed with the results a chatbot can bring? We are too. Now, let’s dive into the chatbot development process. You can try to develop a chatbot without outside help. For that, you can use one of the bot engines such as Chatfuel or Rebotify that work on a subscription basis. However, for a custom-made chatbot, you will need to hire a chatbot development company. There are several types of chatbots. They differ by the complexity, features, and cost of development. Below we share three main kinds of chatbots so you could pick the right one for your business. 1. Script Bots. This is the simplest type of chatbots. Such bots operate on the base of predefined commands or scripts. They are programmed to recognize some words and answer basic questions. 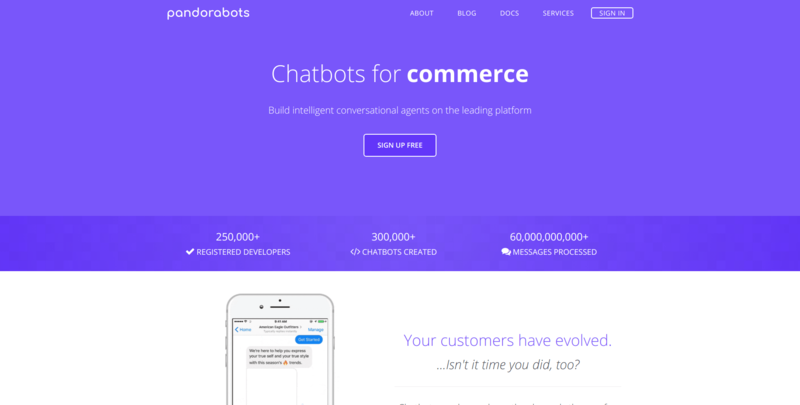 Nowadays, this is the most popular type of e-commerce chatbots. However, they aren't very flexible. Some online shops integrate bots with Natural Language Processing (NLP) technology to make interactions with customers more natural. 2. Smart bots. These chatbots are powered by AI (Artificial Intelligence)They provide more positive user experience since they interact with customers in a human-like way. Still, such bots are not perfect. Their work is not fully automated, and they need human intervention to be able to answer specific customer inquiries. 3. Intelligent Agent. This is the most advanced type of chatbots. They combine machine learning and AI technologies, which makes them entirely self-sufficient. The great examples of such bots are Amazon’s Alexa, IBM Watson, and Siri. For our clients, we recommend using the script chatbots. They are useful in most cases, from product recommendations to customer support, while costing less compared to chatbots with AI. Still, the choice is up to you and your business needs. Alternatively, all of these purposes can be used in one chatbot since this technology has endless business use cases. Below we share the most popular tasks performed by a chatbot on e-commerce websites. Please read it and pick the most useful one for your future chatbot feature list. One of the chatbot development stages is to design of a conversational user interface or CUI. This particular type of interface mimics human interaction between the online shop customer and the online shop. 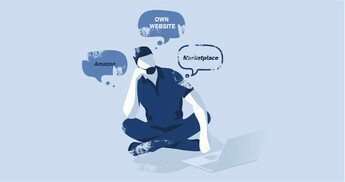 Its main task is to simplify the customer interactions with the online store using messengers. A conversational interface is critical not only for the look and feel of your e-commerce chatbot but also for the natural flow of the conversation. The conversation interface of your future chatbot should also include options like “Yes,” “No,” and others to help the dialog process. Also, a good conversational UI should manage user expectations and imply the validation of user input data. Additional great advice is to include words such as “Sure,” “Got it,” and, “Thank you” to make your future chatbot sounds like a human. The conversation with your chatbot should be user-initiated. This way, allow users to block the conversation easily at any time. A convenient exit experience usually includes the contact information. If your customer needs to speak with a human in case of complex requests, provide him with the ability to contact the available human service agents. Let's look at some examples. Conversational interfaces come in two formats. The first one is a voice assistant like Siri or Alexa. The second one is chatbots. Their primary goal is to receive commands from a user in the form of conversations and carry the interaction forward in a human manner. So the customers receive a more “human” experience by using a large number of possible scenarios. There is a vast difference in how a chatbot and web app respond to user input. 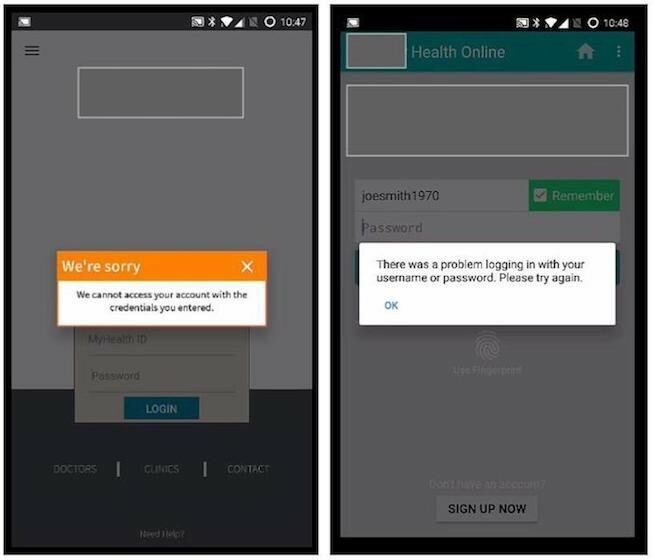 In the example below, we see how standard healthcare apps behave when the user is trying to login unsuccessfully. As we can see, the app provides an error message without any explanation about what went wrong. Moreover, it does not offer any options to help or to contact a human. At the same time, because of their conversational nature, chatbots generally provide more information and try to help users. Therefore, they are more emphatic. When creating a conversational interface for your online store, it is essential to write a script that interprets user answers. Designers should also pay attention to both easy to handle close-ended conversations and open-ended conversations so that chatbots can communicate with customers more naturally. If you decided to adopt chatbots for your online store, you also need to be aware of chatbot building platforms. We have compiled a list of three popular platforms, used by our developers for building e-commerce chatbots. This platform is currently powering over 300,000 live Messenger bots; it is prevalent among online retailers. Users can easily set up the conversion rules and the template in the dashboard. The NLP (natural language processing) technology allows your future chatbot to recognize and understand what online shoppers request. Chatfuel will be your perfect choice if you plan to communicate with customers via Facebook Messenger or Telegram. The platform has a free plan with all the basic e-commerce features and paid plans starting from $30. 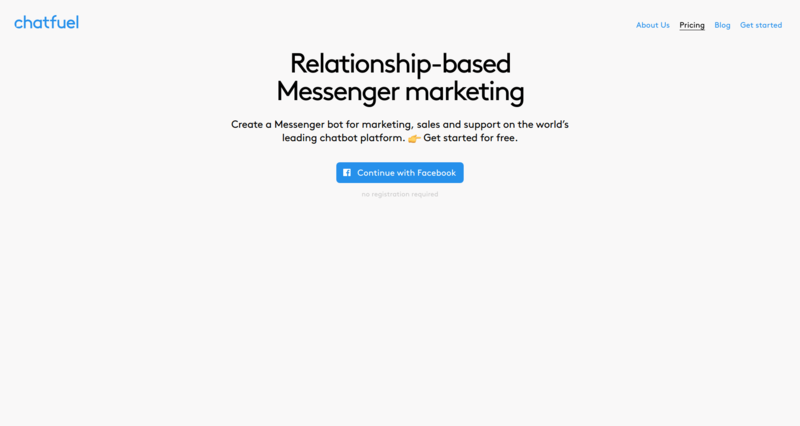 This platform for chatbots is the oldest and largest one. Currently, it powers over 300 000 chatbots. This platform allows creating high-quality chatbots to use on mobile, Telegram or Twitter as well as your online store. Online retailers often use this chatbot platform for B2B messaging, advertising, marketing, customer service and other. Pandorabots has three plants to suit different business needs. 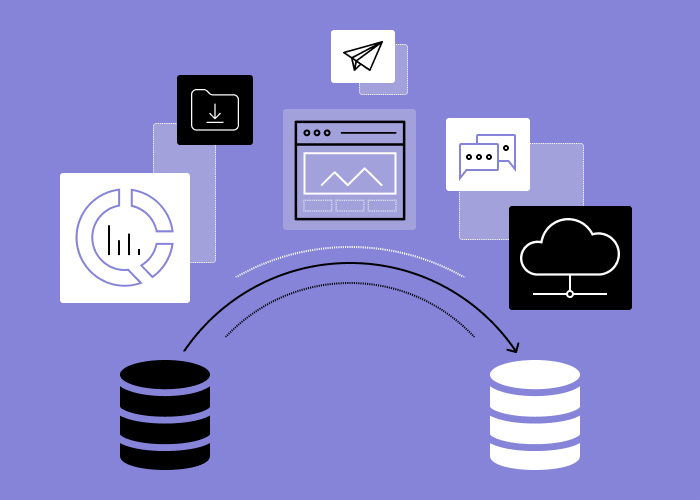 A free plan includes up to 1000 messages; developer plan goes with unlimited sandbox usage with $0.00025 per message, and the company provides an enterprise plan on request. 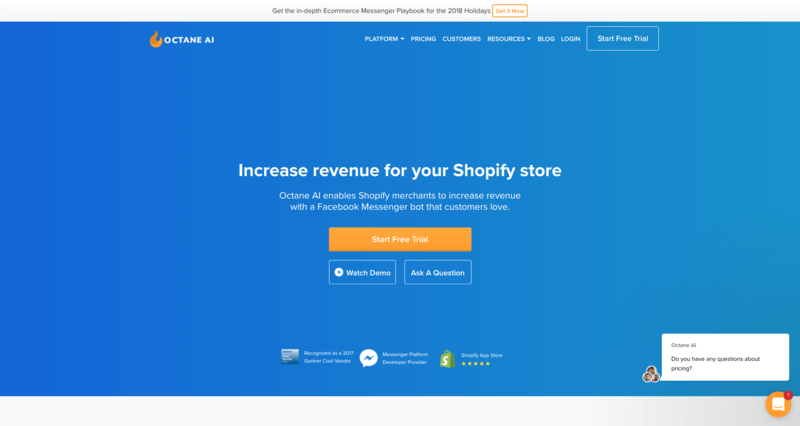 If Shopify powers your online shop, this is a perfect choice. The focus of this AI chatbot platform is to recover abandoned carts on Shopify online shops. Other Octane AI main features are real-time analytics and social media integration. The platform includes a basic plan (from $9 per month) and a pro plan with more advanced features (from $209 per month). Since you have decided to revolutionize the customer experience that your online shop offers, welcome to this part of the article. Below we describe steps required for the chatbot development. Knowing the whole process would help you be on the same page with the development team. The backend of the chatbot allows handling messages received from several channels and processing them with NLP (natural language processing). The backend of a chatbot connects with the conversational intelligence and the online shop system to make the conversation happen. On this step, you should define places where your future chatbot will communicate with your customers. The location can be your online shop, or Skype, Facebook and even Twitter. Still, it is essential to choose the right channel. Otherwise, you are risking to alienate and disappoint your customers, who are expecting specific functions. At this stage, developers create modules to integrate a chatbot’s back-end with each of the channels you have selected. Once the developer has established the selected channels, the next step is to determine some of the UI elements. Once the development team finishes with the backend and the channels are established, your e-commerce chatbot can send and receive messages. The next step is to integrate the NLP (Natural Language Processing) services is to enable your chatbot to extract entities and intents out of the customer messages. Most NLP services allow manual input of the entities and their values to the UI. 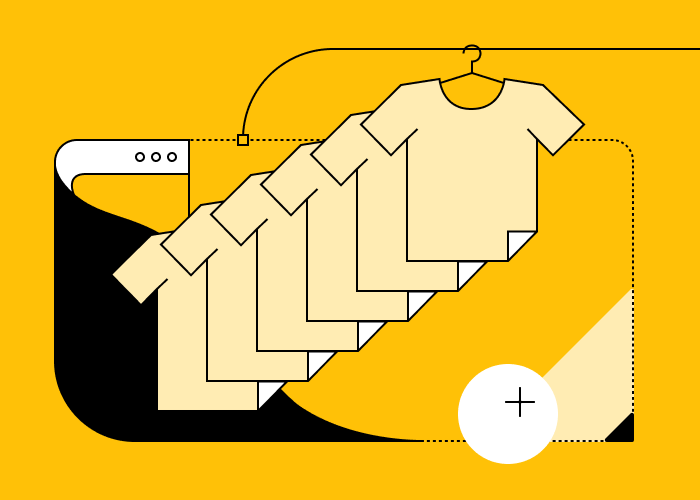 At this stage, the e-commerce team maps entities to specific objects that already exist on your e-commerce systems, such as Products, Catalog, Contacts, and others. The development team also implements some business logic validation rules on top of the data extracted. Conversational Intelligence, developed on the base of NLP entities and intents, is a map of your customer journey. Here, developers create the algorithm for each particular conversation together with simple navigation. In some cases, they develop simple decision trees, slot-based conversation, and state workflow. However, when the clients need a more advanced solution, they apply a deep learning algorithm to control the conversation. As we said, the conversational interface deals with a conversation of a chatbot with your online shop customers. To provide your customers with good user experience, it should be similar to a natural human conversation, simple and has intuitive interfaces. For that, the chatbot developers think on the dialog flow and how it solves user’ problems. The development team should adopt the conversational UI of your future e-commerce chatbot to the preferences and needs of different users. Moreover, all the user groups should use a chatbot without a need to learn anything. The team could improve the chatbot conversational UI by offering interactive buttons, carousels, message menus, and cards. Such elements also provide customers with the better presence of the necessary information. Now you are going to discover how chatbots learn and what chatbot training data is. As we said, different types of chatbots handle data in different ways. While a rule-based chatbot has a limited set of functions and questions, an AI chatbot develops a growing collection of understanding and knowledge. Below we share tips on how to develop AI chatbot and train it so that a bot can study from previous examples over time. As an example, let's consider a customer service AI chatbot. It needs to have an idea of the questions that customers are going to ask. Also, such chatbot needs to know, what it should answer to these questions. In this case, a customer service chatbot needs the data from the previous inquiries and the data from earlier correct answers. For that, you can use email chains, live-chat scripts, and website FAQs or email replies of your customers; this way would be training data for your e-commerce chatbot. When we are hired for e-commerce chatbot development services, we receive the training data from our customers. To teach the chatbot, customers provide us with PDFs, spreadsheets and website FAQs. Then, our best chatbot developers turn these data into organized, labeled data, readable by chatbots. This way, chatbots receive the idea of what people are asking and how to respond to them. Since we have finished with the different components of e-commerce chatbot development, let us look at what matters to our clients on a more complex level. It is time to discuss the cost and time of chatbot development. The cost of the chatbot development varies depending on their types and roles. Below we tell in more detail how much does it cost to develop a chatbot for your online store. If you have decided to develop a DIY Chabot, you can use one of chatbot development tools. As a result, you can receive a simple rule-based chatbot that will answer basic questions and perform simple tasks. Such chatbots can recognize several phrases and provide customers with pre-programmed answers. Most chatbot development platforms, like ManyChat, are very intuitive. The only thing you need is to design the navigation of the conversation and prepare the visual content. The cost of such platform-based chatbots depends on the platform fee since most chatbot platforms operate on a subscription basis. An average fee of such platforms starts from $30 per month. If your business needs to develop chatbot from scratch, you need to hire a team of e-commerce developers. They will not only produce a custom chatbot for your business but also integrate it with your existing systems and databases. You can use such chatbot in your online shop as product recommender since it can filter your online catalog results, based on customer preferences. The cost of chatbots with existing systems integration starts from $10,000. If you want a solution that is even more advanced for your business, you can hire the e-commerce team to develop a chatbot with third-party integrations. Such custom chatbots could be integrated with payment systems, CRM tools, sales and marketing tools, and so on. With the help of such chatbot, you can automate orders, reduce abandon cart rate with remarketing, and provide customers with unique offers and other. The development of a chatbot with third-party integrations starts from $30,000. This is the most advanced type of chatbots, used in online retail. Such solutions are powered with machine learning and natural language processing that allow a bot to recognize phrases and hold a real conversation with online shoppers. 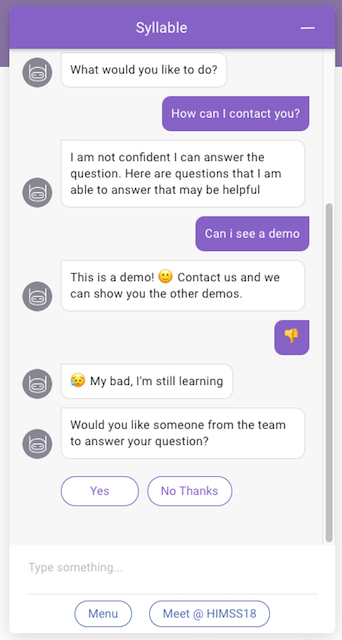 In most cases, such chatbots are used in customer service and support., The IT team involves an analysis of the semantics and programming of responses to frequently asked questions to develop such a chatbot. The more your AI chatbot communicates with your customers, the more requests and phrases it will understand. The AI-based chatbots could be integrated with your shopping system and the third party services. The cost of AI-based chatbots varies from $40,000 to $50,000, depending on the number of integrations required. So, how much will an e-commerce chatbot cost you? There is no single answer, since the cost of a chatbot development depends on chatbot features, the number of integrations, the design and the complexity of a training process. The approximate cost of a custom chatbot development could vary from $25,000 to $60,000. 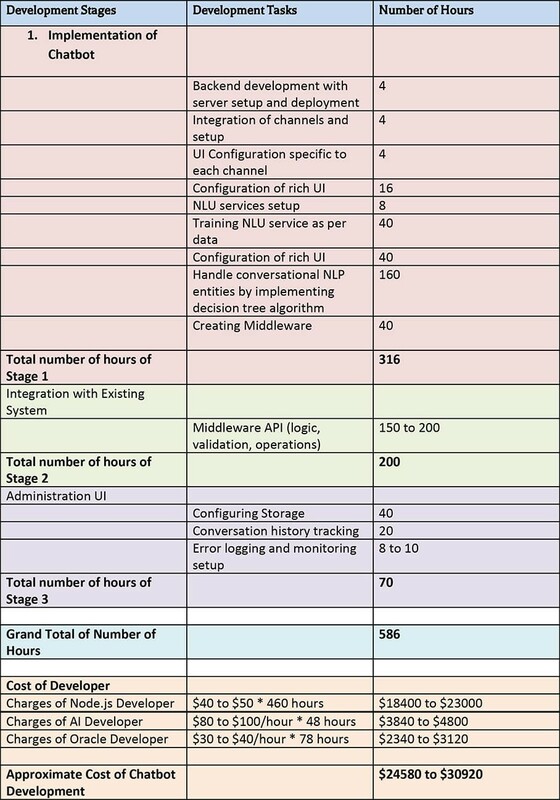 Below we share the table with an estimated number of hours and the approximate cost of a chatbot development. Pay attention because the developer rate may vary depending on the location and the level of expertise. In conclusion, we would like to say, that the primary challenge for online retailers is to create a chatbot that will bring value to the customers. With the experience under our belt, we consider each use case to provide our customers with the best e-commerce chatbot features. Once you are aware of the benefits of chatbots, the stages of development and its cost, the only things left is to contact our team to get your made. Fill in the contact form to receive a quote from us.